Makenzies Miracle: We Have Arrived!!!!!!! We have arrived at a place in this world where Makenzie is experiencing integration at it's best! After three years of fighting, today we have arrived at a place in Makenzie's education where I can't honestly think of anything to fight about or for. If my day wasn't to busy to just break down and cry tears of joy, I would have today. Instead I just walked around on cloud nine. How do I know we have arrived at this place today? A few days ago I programed a series of pages into Makenzie's talker so she could sing one of the classroom songs. I clipped the song 27 times and each page has it's own letter, sound clip, and picture. When Makenzie looks at the button on her talker it plays the sound clip for each letter of the song. Today the class sang that song together on Makenzie's talker. She orchestrated and they followed along. According to Makenzie's aide there was a lot of cheering, singing, and laughing. When the song was through several kids asked if they could do it again. To those of you who have played any part of making this school year a huge success...... THANK YOU!!! 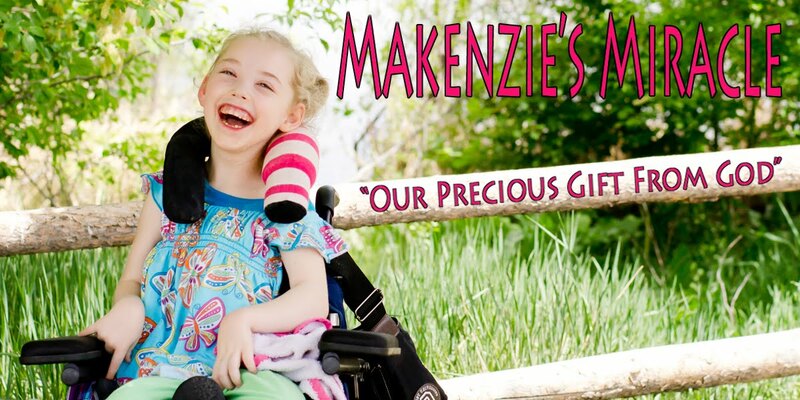 That's amazing...I am so happy for you and Makenzie!